This month marks another milestone in our lives. On November 29th, Dorothy and I celebrate our 60th wedding anniversary. On November 8th Dorothy turned 80, and I will be 84 come February 26th next year. We are at another one of those moments in our history when we pause and reflect on all that God has enabled us to be involved in across all these years. So bear with me in this letter as we do a little reminiscing. When I first started in ministry as a student pastor in Sydney, Australia, in response to the call of God on my life to become a minister, I had no vision of what God might do in the years to come. My wife Dorothy, however, did and she would say, ‘God has something more for you than just a normal parish ministry.’ I smiled, but I didn’t take her seriously. She believed in me before I even believed in myself. However, after going through the hardest time in our lives with events surrounding the birth of our second daughter Joy in 1967, we began a journey that let us into what is called, in Charismatic circles, the baptism of the Holy Spirit that changed our lives and our ministry. You can read all about this and other events in our life in Dorothy’s book ‘Called Together,’ which is now available on Amazon. Just recently, while looking back over our lives together, I penned ten things I never dreamed I (or we) would ever do. I don’t share them to boast because, quite humbly, I am awed by what God had done in and through our lives. Nobody knows better than I that it was God’s doing not ours. The older I get, the only way I can make sense of it is to realize that ‘God has chosen the weak things of the world to confound the things that are mighty (I Corinthians 1:27). When I was in seminary studying to become a Methodist Minister, if a survey had been taken to determine who would be the most successful. I would have been down towards the bottom of the list as I did not have a healthy self-image at that time because of the rejection I had experienced as a child. I never dreamed Dorothy, and I would begin a ministry called The Temple Trust, that would become a major renewal ministry in Australia in the 1970’s, working with people of all different denominations during a mighty move of God. I never dreamed I would minister in some forty countries around the world, on every continent except Antartica, traveling over a million miles. I never dreamed that Dorothy and I would commence two Bible Colleges, one in Australia and one in the United States and that we would mentor so many young and not so young leaders across the years. I never dreamed I would be involved in Christian television, first with the PTL Club and later with Channel 23 in the Twin Cities, where I co-hosted a weekly TV program called Crossroads. I never dreamed that Dorothy and I, together with our two daughters Beth and Joy, would move from Australia to Minneapolis/St. Paul in Minnesota to make a new beginning. I never dreamed I would be pastoring churches in the United States, first with Antioch Christian Fellowship and later as Interim Pastor of Church on the Hill in Chaska, MN. I never dreamed I would write books and the Langstaff Letter. A new book ‘The Best is Yet to Be’ is due to be published in 2019. Dorothy has already written ‘Called Together,’ the story of our life and ministry before we moved to America. I never dreamed I would lead two ministerial networks; ten years with Harvest Network and then begin Omega Team with five friends. I never dreamed I would be invited to speak in the largest church in the world in Seoul Korea, with Dr. Yonghi Cho. What a privilege. Also, to be on Dr. Cho’s Church Growth International Board of Directors. I never dreamed I would still be in ministry at the age of eighty-four. I initially thought that I would retire long before that. In all this, I have been blessed with my beautiful wife Dorothy, who has stood by me, supporting me all these sixty plus years. I have also been blessed with two daughters and six grandchildren, two of them who feel a call to ministry. Further still, after the early days of ministry, living in twenty homes in twenty years, we have these last twenty years settled down in a lovely home on the edge of a small lake in historic Excelsior, Minnesota. God has been faithful! I also realize that no one lives unto himself. No one is an island. Dorothy and I have been blessed by so many people across the years, people that we have ministered with, friends and colleagues and also the many people that have supported us and prayed for us across the years. So thank you! Well, there you have ten things that I never dreamed I would be involved in or experience. Come to think of it, all this fits in with my life verse Ephesians 3:20, ‘Now to Him who is able to do exceedingly abundantly above all that we ask or think according to the power that works in us.’ That is what has happened. What I have experienced and been involved in has been above all that I could have asked for or thought of. So, how do I finish this Langstaff Letter? 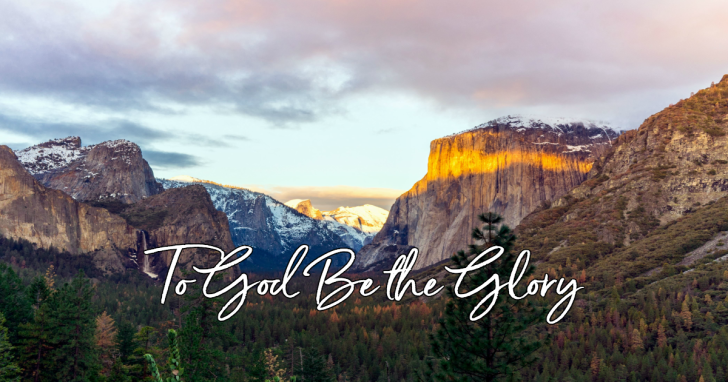 Very simply by giving glory to God. He is a great God, a good God, a loving God, an awesome God. He deserves the praise and glory for all that has taken place across these sixty years or more. As I said at the beginning ‘, I never dreamed . . . .’ Well, God dreamed it all for us and to Him be all the glory. Alan and Dorothy: So thankful that Karen and I connected to you both. You have enriched our lives in such a wonderful way. Just finished our 2nd leadership seminar in Tanzania. Head for home tomorrow. Will return in a year at the invitation of the Lutheran bishop. God’s faithfulness plus you and Dorothy’s willingness = oh, what a beautiful dream of His, fulfilled.And still, the best IS yet to come. I can’t say it enough since 1991, how deeply Jesus and I love you both.I have had good ministers in my life, but you are the only one I called affectionately,”Pops”. Ever interceding when our precious Ruach Ha Kodesh says to. You both are on His heart a lot.